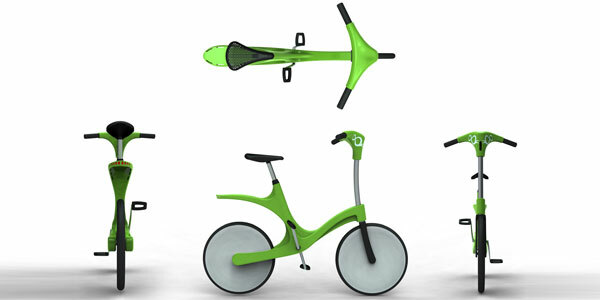 The Vestri bike system concept is inspired by the environment & uses wind power to sustain itself. 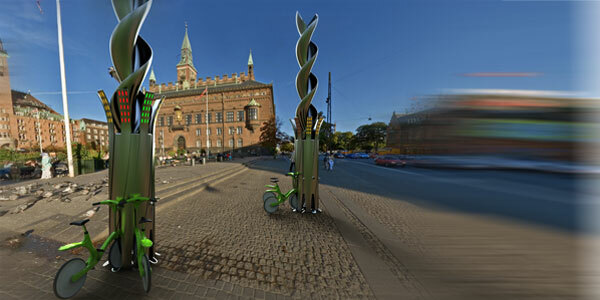 Rental stations with vertical turbines are installed in the city. 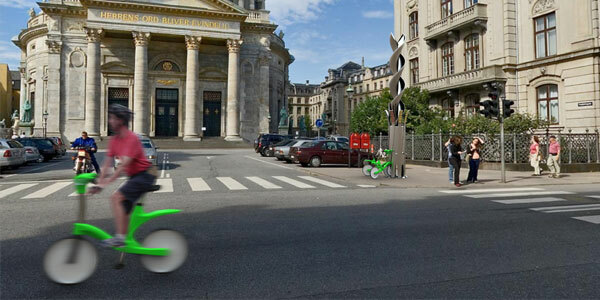 The Stations can generate power, lock bikes & transmit to a command centre. Users insert a credit card or a vestri card & borrow the unique bicycle. 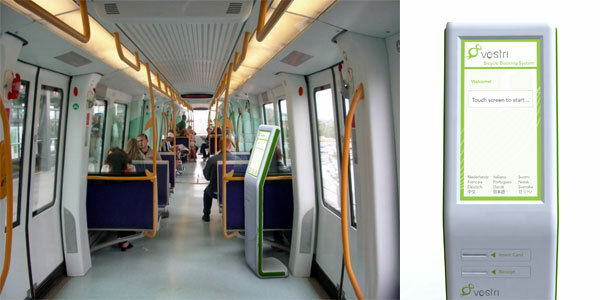 They can pre-book online, via sms or on the train. They can return it to a rental station with incentives in place such as credit towards a meal or a train ticket home to distribute bikes to high use areas. 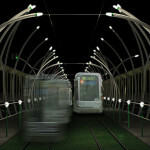 Since the turbines are not “on the grid” the stations can be relocated based on demand. The Vestri Bike is friendly, elegant and practical. It is designed for low cost and easy maintenance with a rotationally moulded polypropylene body, shaft drive and ergonomic proportions for both men and women. The seat height is easily adjusted with a spring loaded clip. The tyres are injected with urethane to withstand punctures. The body also has a pannier rack integrated into the design for the users bag to be fastened to.For information available: download PDF.